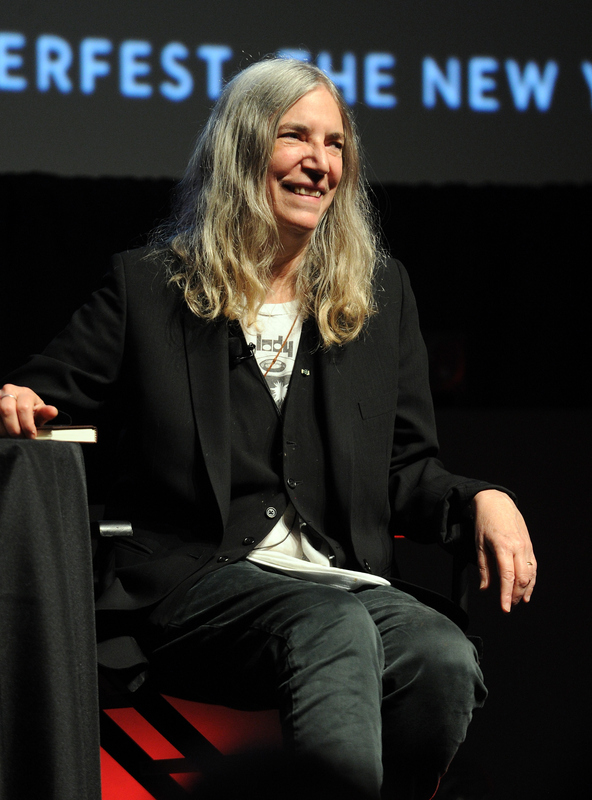 Having already devoured her memoirs, fans are clamoring for Patti Smith's new books. According to a recent interview with The New Yorker, the prolific writer and musician currently has several books in the works, and they're all over the place in terms of genre and theme. But that's 100 percent OK. This is Patti Smith we're talking about. Smith has been a published author since her first poetry collection, Seventh Heaven, went to print in 1972. Following the success of 2010's Just Kids, Smith's memoir about her life with Robert Mapplethorpe, the punk rocker released M Train on October 6. This latest book details Smith's marriage to MC5 guitarist Fred Smith, and it's already garnering positive attention. In her New Yorker interview this week, Smith announced that she's also currently working on three non-memoir projects. She has plans to publish another poetry collection, as well as a detective novel. She describes a third book as "the kind of book I used to read as a young girl." (Is she trying her hand at YA?! Hey, crazier things have happened.) All three projects are as-yet untitled. The author attributes some of her success as a writer to her journaling habit, which, as Vulture notes, served her well when she sat down to write about individuals who were already deceased. Smith has kept a journal for years, and, "[s]ince having kids in the ’90s, she always writes in the morning — these days starting at 6 or 7 a.m." Regarding her writing, the author says she has "tons and tons of unpublished material." She goes on to note, "I’m gonna be like Dorothy Parker when I die, people are going to go, Holy sh–, it’s totally indecipherable." Fans wouldn't have it any other way.